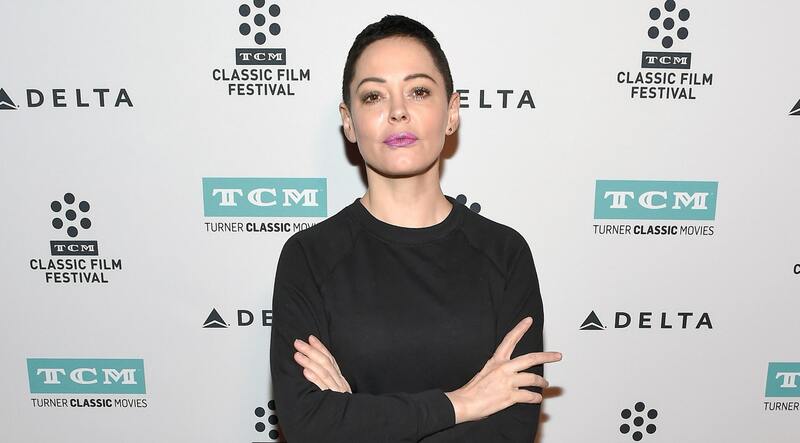 Updated Dec.18, 2017, 11:00 a.m. PT: Rose McGowan is not here for the women attending the Golden Globes wearing black in solidarity with those who have come forward with stories of sexual assault and harassment in Hollywood. She’s taking aim at them, but especially Meryl Streep, who reportedly championed the idea and plans to participate. For those who may not know, Marchesa is the clothing brand run and designed by Weinstein’s estranged wife, Georgina Chapman, who left him very soon after the allegations surfaced. It’s a little low of McGowan to drag Chapman into this considering Chapman herself clearly doesn’t condone or support Weinstein. That said, it’s truly tough to take sides because while McGowan’s criticism is valid, there’s also no shame in supporting sexual assault victims in any way you can, even if that includes wearing black on a red carpet. Original story, published Dec.14, 2017: The 2018 Golden Globes are officially going to be the best Golden Globes to have ever aired on television, and I have the only solid piece of evidence to prove this seemingly hyperbolic statement is true. On the popular internet morning show The Morning Breath, hosts Jackie Oshry and Claudia Oshry were able to reveal (thanks to the noted approval of their publicist) that a large number of women attending the 2018 Golden Globes are opting to wear black to protest sexual assault. Both Jackie and Claudia seem to be quite excited by the news — and why wouldn’t they be? This coordinated sartorial initiative is certainly not unprecedented, but it’s hard to ignore the striking choice of black to send a political message about the gravity of the issue — sexual assault, harassment and abuse of power — in combination with the black being worn for the entire outfit, not just a ribbon. While it’s been heartachingly powerful to see many, many women and some men come forward with their stories of surviving sexual assault, this choice to wear black subtly sends the message that change must come and this insidious behavior needs to end. The Golden Globes frequently set the tone for awards season every year, and there’s no doubt in my mind that with this female-led initiative, the 2018 awards season will truly be unforgettable.